Sad Summer Festival has announced its lineup for 2019, which features The Maine, State Champs, The Wonder Years, Mayday Parade, and more. The tour is set to begin in Dallas, Texas at Gas Monkey Live! on July 3rd and ending on August 3rd in Anaheim, California at City National Grove Outdoors. 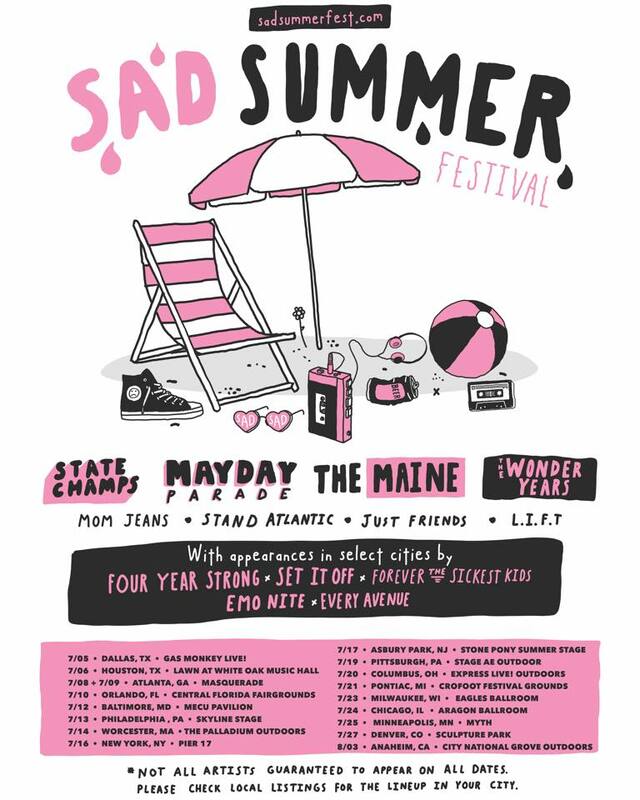 Pre-sale tickets go on sale today at 2pm Eastern (enter the code “sad” to purchase) and general sale starts on Friday. All dates can be seen in the photo above.